Hello! 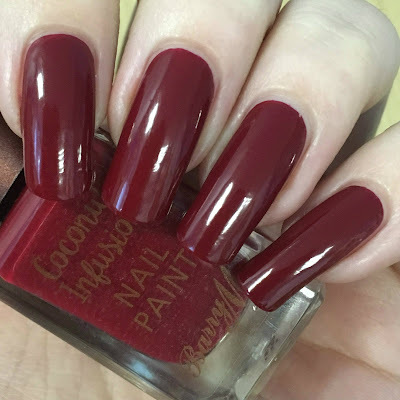 Today I have a couple of the new Barry M Coconut Infusion polishes to share with you. 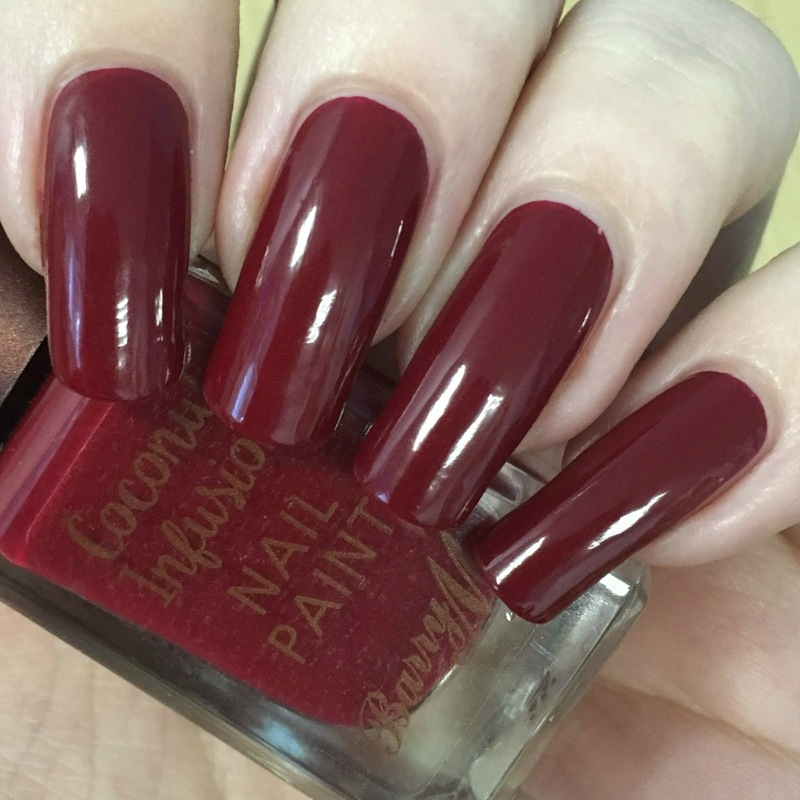 Six new polishes were added to the coconut range as part of the Autumn/Winter releases for 2016. Out of the six, only two of them immediately caught my eye - 'Oasis' and 'Island Fever'. Read on for more info and full swatches of both! Barry M's Coconut Infusion polishes contain coconut water and coconut oil, said to 'gently hydrate and nourish nails while delivering a beautifully smooth, gel-like glossy manicure'. While I haven't worn any long enough to comment on the hydration, I can say that they are very smooth and self-levelling and do dry very glossy. For those wondering, they do not smell of coconut (at least to me), but do have a sweeter smell than traditional polish. 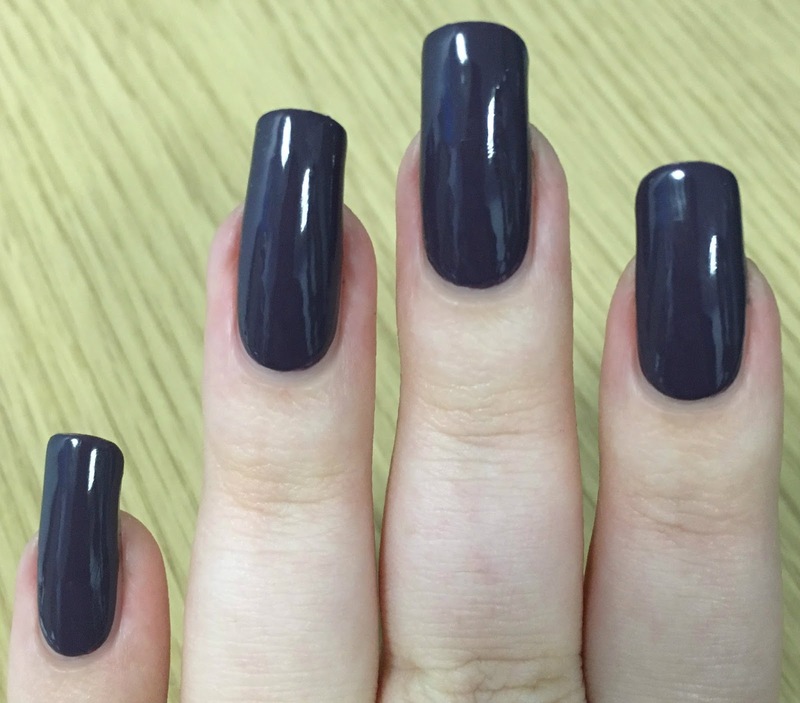 'Oasis' is a deep dusty purple creme. 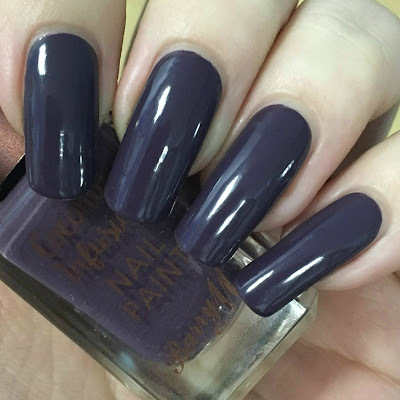 This was very smooth and easy to apply, and very close to being opaque in one coat. I did need to a add a second for some minor lighter patches, but I think you could easily get away with one thicker coat. Below is two coats and topcoat. 'Island Fever' is a deep rich red creme. 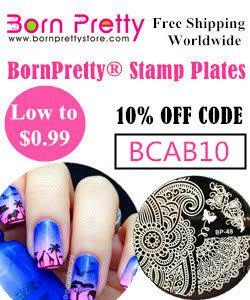 It is smooth and easy to apply, and basically a one coater. I did see a hint of my nail line in certain lighting so added a second coat just to make sure. It may have deepened slightly, but if I wasn't taking photos I definitely would have left it with one. Below is two coats and topcoat. What do you think? I'm quite surprised at how much I like these. I'm not normally a fan of darker, dustier colours, or even red actually! Because of that these colours are rather unique to my collection, so I'll definitely get a lot of use out of them. I'm tempted to go back and get the other four from this release. You can find both 'Oasis' and 'Island Fever' on the Barry M Cosmetics website here. They are also available at Boots and Superdrug stores (and I believe in Tesco too). It's the first time that i have heard about nail polishes that are infused with coconut - i'm sure your nails would benefit from it. Gorgeous swatches, these colours look fab on your nails. Awwww that purple is awesome! Both of these colors are beautiful! So rich! I definitely need to try Barry M.
I love how rich these polishes are! 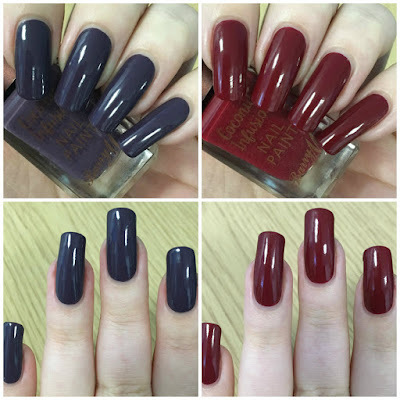 I need to try myself some Barry M polishes and you picked two perfect colours for fall!